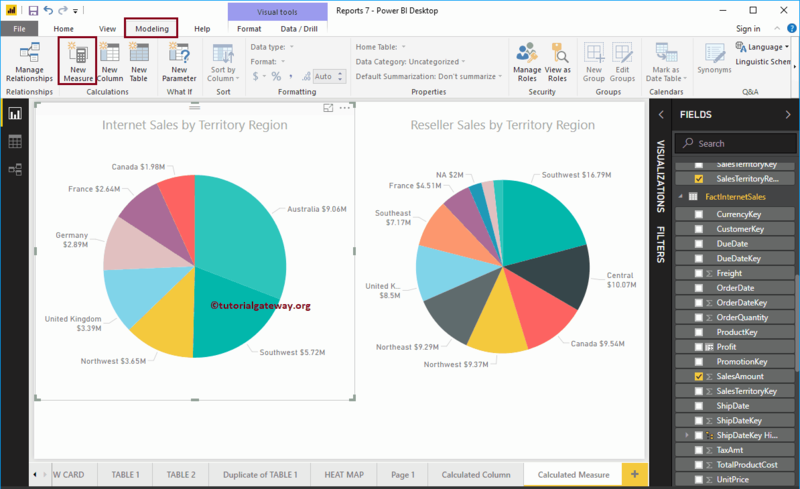 In Microsoft Power BI, you can create a custom calculated measure (or numeric aggregated calculation) from existing columns. In this article, we will show you, How to create calculated measures in Power BI with example. To demonstrate this Power BI calculated measures, we are going to use the Data Source that we created in Connect Power BI to SQL Server article. In order to create a calculated measure in Power BI, please click on the New Measure option under the Modeling tab. 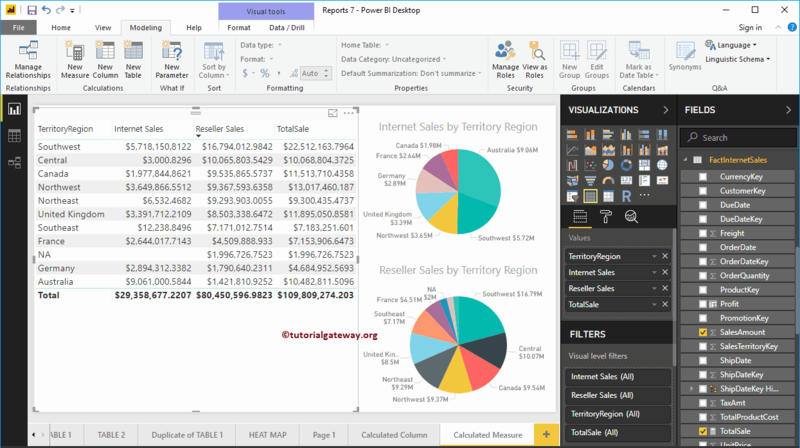 For the Power BI calculated measures demo purpose, we will add the Internet Sales Amount, Reseller Sales Amount from Fact Internet Sales and Fact Reseller Sales tables. Unlike calculated columns, you have to use the aggregated function to create a measure. As you can see from the below screenshot, while I was typing, Power BI intellisense is showing the suggestions. Let me minimize the Fields tab, and Visualization. 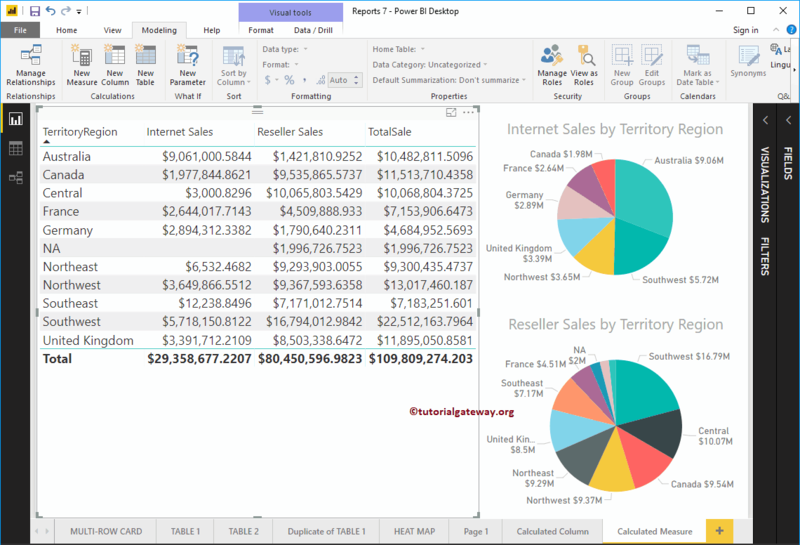 So that you can focus on table values. You can also apply filters on this calculated measures too. 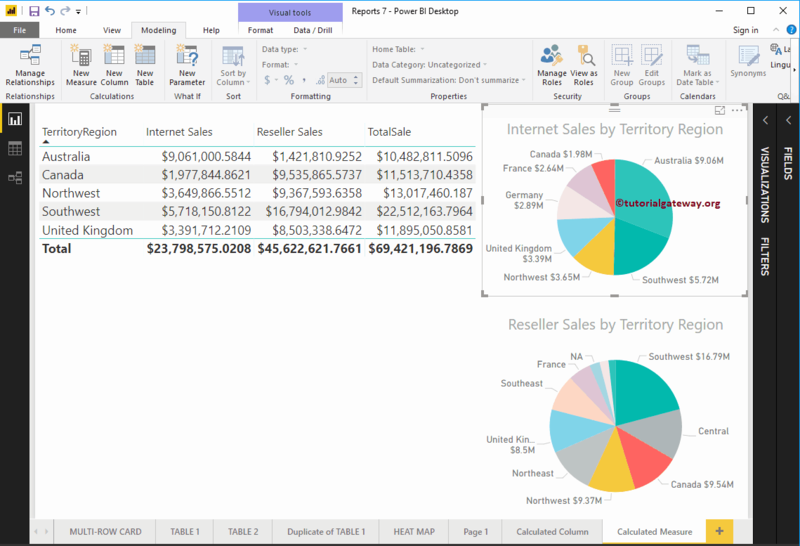 From the below screenshot you can see that, we selected few areas in our Pie Chart, and the same has been reflected in the table as well.